If you’ve read my post on Batman Gold cards you’ll know I’m a big fan of the early 1990’s Batman Returns Dynamic Marketing sets produced in Australia. 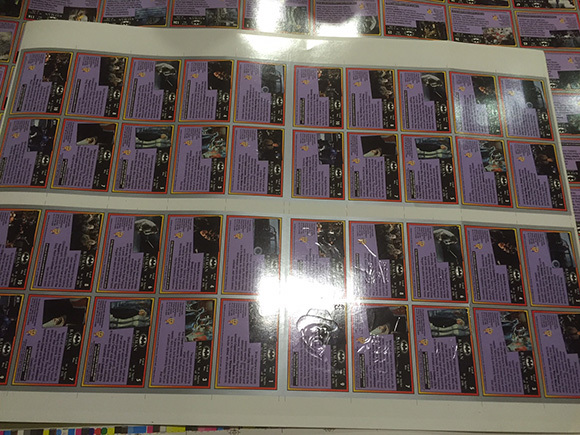 Parallel cards where becoming popular and Dynamic produced a parallel set of the first 10 cards in the series as well as an ultra hard to find embossed parallel of a parallel. The company produced one of the most memorable Batman sets around for those who were there collecting them when they first came out. 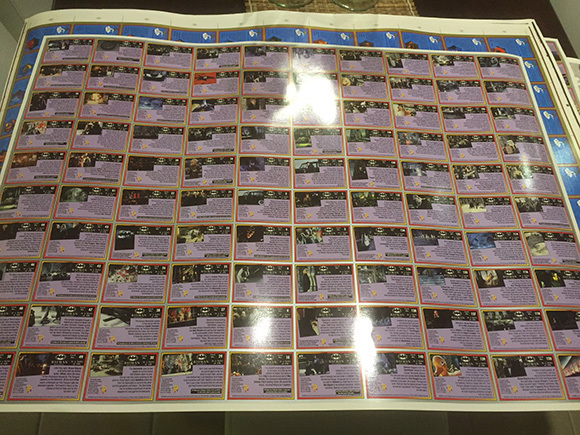 Neil from NSW in Australia wrote to me looking for some information on a series of particularly rare Batman Returns (and other) Dynamic Marketing uncut sheets. 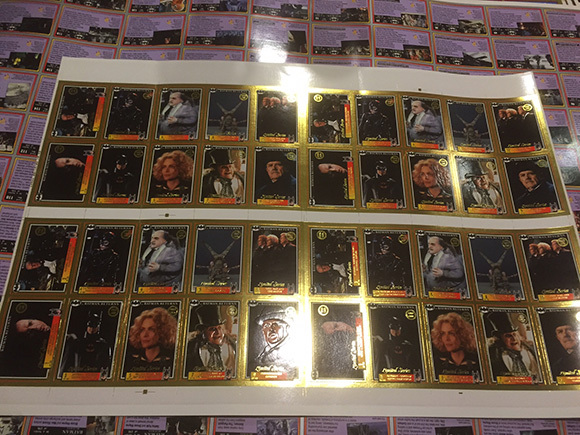 Included are uncut sheets of the embossed gold card Batman Returns set, the standard Batman Returns set, the Aladdin set and Jurassic Park set. 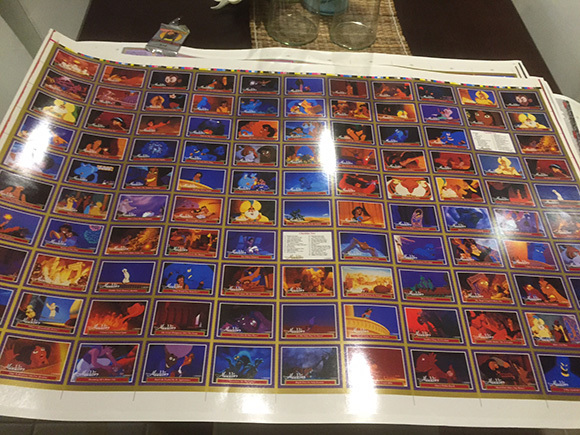 These uncut sheets came from Neil’s late brother who worked for Dynamic Marketing. My brother worked for Dynamic Marketing and he has since passed away and I got them left to me. 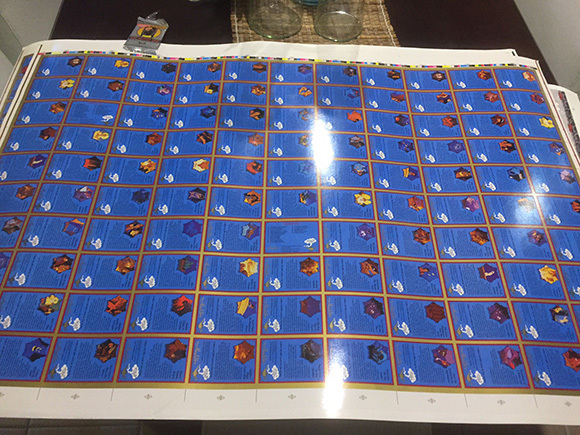 There is 4 x sets on each sheet and they have the lines as ready for them to then be cut up into individual cards. 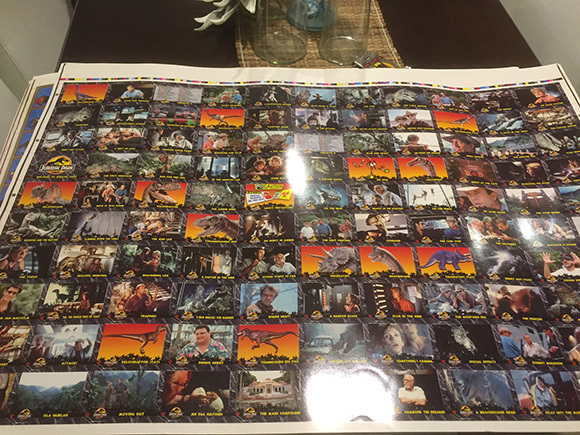 I have 2 x Batman Returns gold limited unreleased, 2 x sets of Aladdin, 2 x Jurassic Park, 1 x premium Reflective Jurassic Park and 3 x sheets that make up a full set of Batman Returns standard cards. 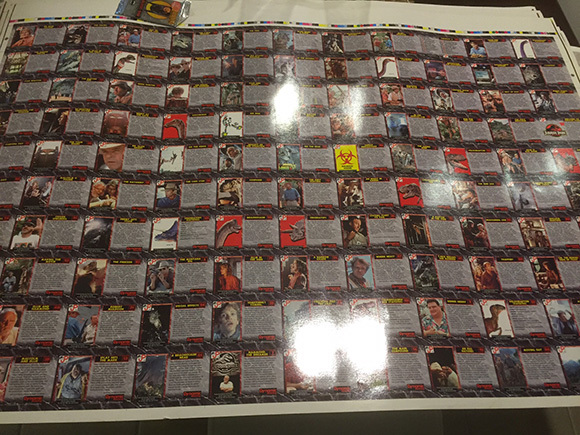 Neil is keen to sell the sheets to a serious Batman cards collector to ensure they go to a good home so if you’re interested please contact me and I’ll put you in touch with Neil. Unfortunately due to the rarity of items like this working out a value is very difficult. 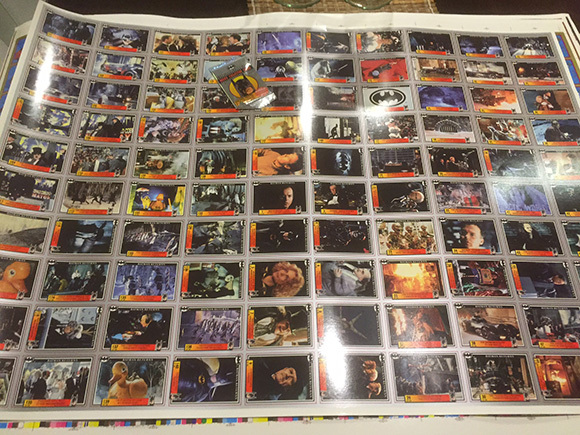 There are a couple of Batman uncut sheets available on eBay at the moment asking in the realm of $50 - including one Dynamic Marketing Batman Forever uncut sheet which would be less popular than the Batman Returns series. Here are the photos provided by Neil.